Esther, Leah, Barry and Joy are kicking back on the sofas having a hoot. Friendship and laughter bubbles out of their shared lounge. It reminds me of fun student flats, but minus the Two Minute Noodles. And students. The four of them have lived together in an enormous house in New Zealand’s Hutt Valley for two years, sharing the chores, the groceries, the cooking and the meals. And of course, the rent. “It is such a cheap way to live! We save a ton sharing the costs of a lovely large house with a gorgeous garden. Esther is the one especially talented at keeping the garden beautiful” explains Joy. Joy, who works in retail, and her husband, Barry, an accountant by trade, always imagined they would own their own house at this stage in their life. “But it just didn’t work out that way. This is much more of an adventure and fits us to a T!” They love the social side of sharing a home, the fact that there is always something going on. Esther is Joy’s close friend, and, Leah, Esther’s eldest daughter reckons the reason they get on so well is because they are so similar. Esther and Joy burst into giggles at this- their funky necklaces glistening and their cool dyed crops shaking. They hustle in to the kitchen together to peer into the oven from which the most delicious smells are emanating. Esther never pictured herself sharing a home with friends like this even though she has always had a bustling home; children and their friends coming and going. “It just seems natural and normal now, to share our lives this way, to eat together and hear about each other’s day.” Esther reckons this living with friends business is the future for her. What’s the key for living in harmony, I ask? “Grace, grace, grace!” “Keeping short accounts!” It is important to not hold on to irritations, to deal with or get over stuff that bothers you. And have a neutral property- the landowner can’t live on site as the power dynamics get weird. The benefits are huge; a weekly rent split amongst a group, bills are split, even the grocery shop is split. It is much better for the environment – a more sustainable use of space and resources. And money is saved because you don’t have to head out for the fun, social times! It is common to lament the communal days of old, to focus on the seeming fracturing of society. But Leah, Esther, Barry and Joy are just one home in a movement of people who are saying there IS another way. 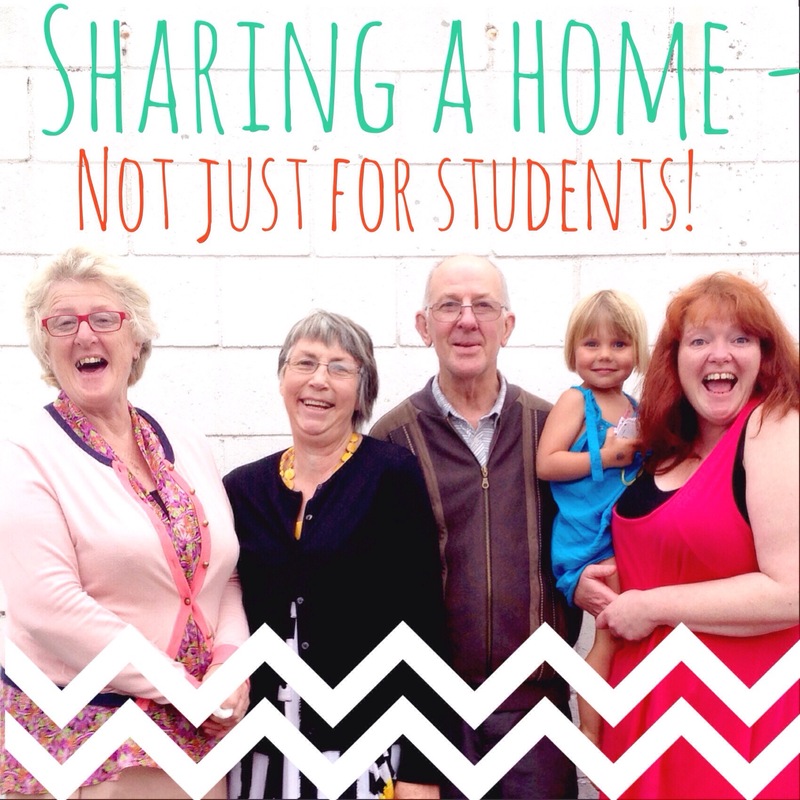 People of any age can share homes like this and enjoy the simple joy of doing life together. As Leah puts pudding in front of us, whipped cream and strawberries heaped upon pastries that Joy picked up on the way home from work, I become certain – this could be the future for loads of us. A thrifty and pleasurable alternative to living in isolation with a mountain of bills on the doormat. And absolutely, definitely no Pot Noodles. I wondered how long it would take for this to catch on again. Communal living is so much better for young children I think too. Much more natural social environment, closer to what we biologically were designed for. I didn’t spot your comment til I’d posted mine, but one of the many things that excites me about my family’s plans to co-house is that my son will get to grow up living in community. I agree with you – to me it feels like a more natural home environment. I LOVE this! What an awesome set up! My family and I are hoping to co-house later on this year, and I cannot wait. I know it could be tricky after living on our own for a good few years (I love the ‘grace grace grace’ advice! ), but I’m looking forward to all the benefits. And not just money-saving – it’s the community that I’m really excited about. This just encourages me further – what lovely people! We also have a spare room for family members to come and stay and also for those who are needing a bed for a few nights.